The pencils are now cut to length, capped and drilled. They are ready to go onto the pencil-holding comb that attaches to the front of the No.2 sumo robot. An outer brass tube cap prevents the pencil from splitting under combat strain. An inner brass tube prevents rotational wear. Glue is applied to the hole in the pencil. A smaller tube is inserted into the hole and centered. 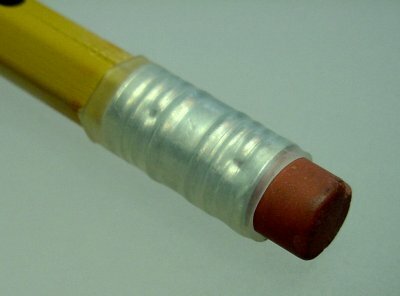 The smaller, inner tube protects against wear that would otherwise cause the pencil hole to eventually widen and loosen. The pencils would then be easier for the opponent to shove to the side. The pencils are inserted into the pencil holder and the brass rods slide into place. There are actually two pencil holders on the front end of the robot. Each holder contains four pencils. After the pencils and rods are inserted, the pencil holders are screwed onto the front end of the robot, such that the rod openings face inward. This prevents the rods from sliding out. Pretty good trick, huh? Clear shrink wrap tubing coats the metal band of the pencil to prevent accidental electrical shorts on the opponent robot. I deliberated a long time regarding this final touch. If my robot purposely damages an opponent, my robot looses. 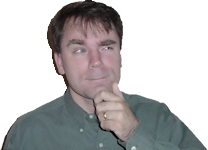 But, if the opposing robot is poorly built or unreasonably vulnerable, then that robot looses. Many robot builders (including myself) make the mistake of leaving robot circuit boards exposed. That is, the PCBs are not enclosed in a plastic case or within the robot’s body. If a sumo robot has an electrically-conductive appendage, with a legitimate purpose other than damage, which causes the other robot to short out, who is at fault? On the one hand, exposed circuit boards are an obvious vulnerability. Yet, on the other hand, most sumo robots have exposed circuit boards (so they would be considered “the norm”) and the damage from an electrical short could be permanent. So, upon weighing the consequences, and considering that I did not want to see children cry or grown men punch me in the face (or vice-versa) over their melted creations, I decided it was best to shrink wrap the aluminum bands on the ends of the pencils. 3M brand clear shrink-wrap tubing (from DigiKey) was chosen to not detract from the pencil’s appearance. How about a quick look at making this robot’s body?